The Rotary Club of San Juan Bautista is delighted to invite you to California’s original outdoor Antique and Crafts Fair. Guests of this event may look forward to shopping for bona-fide antiques, collectibles, memorabilia, nostalgia (items produced prior to 1975), and upcycled treasures. 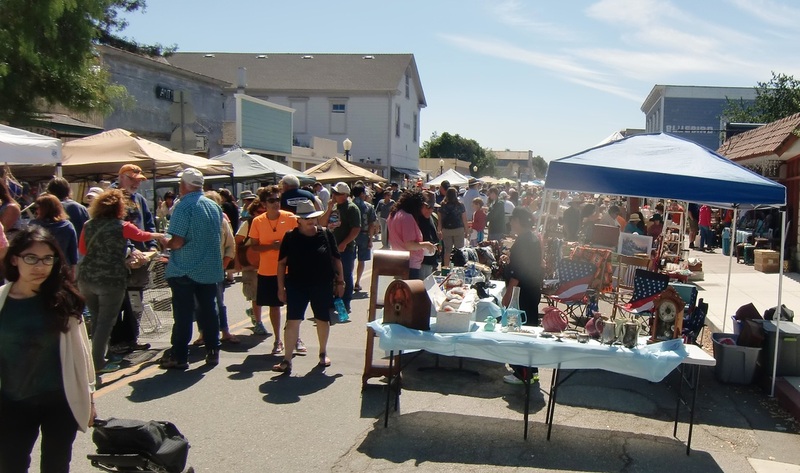 The San Juan Bautista Antique & Craft Fair is the community’s oldest and best-known fundraising event. The Rotary Club of San Juan Bautista has sponsored this event since 2010. The Club's members continue to live by the Rotary International creed of Service Above Self, dedicating themselves to giving and supporting their community. The San Juan Bautista Antique & Craft Fair continues to grow! Since 2010 it has increased by 40 new booths! The 55th 2019 Fair will include antique and craft vendors, non-profit booths, an antique appraiser, food booths. and music. Additionally guests may also enjoy shopping at the San Juan Bautista stores, and eat at the plentiful restaurants in town! All proceeds are allocated to the Club's community grants' program, emergency funds for local families, leadership opportunities for high school students and adults, local and international projects, and helping to build student literacy-skills in the Aromas-San Juan Unified School District. will be out in force to assist guests, vendors, and merchants.